KANSAS CITY, MISSOURI (USA). The Department of Pathology and Laboratory Medicine (DPLM) at Children's Mercy Kansas City is seeking a M.D. or M.D. /Ph.D. or D.O. board-certified or board-eligible Pediatric Pathologist. Children's Mercy Kansas City is the largest standalone, tertiary care, pediatric health care organization in Kansas City, Missouri and Kansas City, Kansas. The hospital is a level 1 trauma center and has very active bone marrow, heart, kidney and liver transplant programs. The DPLM provides numerous collaborative research opportunities with various clinical sections and research laboratories including genetics and world-class genome center which performs cutting edge research and diagnostic tests such as exome and whole genome sequencing. The hospital has academic affiliations with UMKC (University of Missouri at Kansas City) and KUMC (Kansas University Medical Center) with training and educational programs (Residency and Fellowship) in most pediatric specialties, including American Board of Pathology and American Board of Medical Genetics and Genomics accredited Fellowship training programs. Interested individuals must be Diplomate of the American Board of Pathology in Anatomic Pathology and Clinical Pathology and should be Board-certified or Board-eligible in Pediatric Pathology. In addition to pediatric surgical pathology, preference will be given to a candidate with special interest in developing pediatric clinical pathology skills with emphasis in medical hematology and surgical hematopathology. The successful candidate will mostly be responsible for signing out pediatric surgical pathology cases, and will have dedicated time to provide pediatric clinical pathology/laboratory medicine services. The candidate must be eligible for an active, unrestricted Missouri and Kansas medical licenses. Academic appointment will be at the level of Assistant or Associate Professor (non-tenure-track) in the Department of Pathology at The University of Missouri Kansas City. The candidate is expected to contribute to educational and scholarly activities in the Department of Pathology based at Children's Mercy Hospital. Academic rank and competitive salary will be commensurate with experience. A comprehensive and highly competitive benefit Faculty package is included with the appointment. NASHVILLE, TENNESSEE (USA). The Department of Pathology, Microbiology and Immunology at Vanderbilt University School of Medicine seeks a Chief of Pediatric Pathology who is board certified in Pediatric Pathology and eligible for medical licensure in the state of Tennessee. The Department has a strong and diverse faculty, excellent training programs, and provides a very supportive atmosphere for practicing subspecialty academic anatomic pathology. The section of Pediatric Pathology in the Division of Anatomic Pathology currently includes four faculty members dedicated to the evaluation of approximately 9465 pediatric and 1181 placental cases per year (a total of 24,014 parts), clinical and translational research, and education. 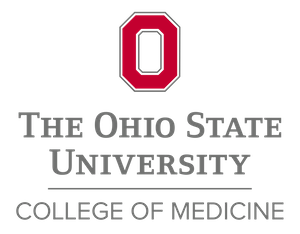 The latter is primarily focused on our residency and fellowship programs, including an ACGME-accredited pediatric pathology fellowship. Depending on qualifications and experience, applicants are expected to be eligible for appointment at the professor or associate professor level on the Clinician Educator track. The successful candidate is expected to be a high-performing, dynamic and data-driven individual with strong communication skills and a commitment to mentoring colleagues and trainees in the department. Located in the heart of Nashville, Tennessee, Vanderbilt University Medical Center (total of 864 beds) is one of the nation's leading research and teaching institutions with undergraduate medical programs contiguous on the same campus. The Vanderbilt University Medical Center, including the Monroe Carell Children's Hospital (267 beds), is experiencing expansion in many areas with a top 20 cancer center, multifaceted organ and stem cell transplant programs, expanding educational programs, and multiple opportunities for clinical, translational and basic science research. Nashville, the capital of Tennessee, is a growing cosmopolitan area with a population exceeding 1 million, diverse entertainment, excellent schools, and ready access to outdoor activities. BURLINGTON, VERMONT (USA). The University of Vermont Medical Center (UVMMC) and the Robert Larner, M.D. College of Medicine (LCOM) are seeking an academic pathologist with training/expertise/interest in perinatal autopsy pathology and surgical pathology for a full time position at any professorial rank, with the opportunity to serve as Director of the Perinatal Autopsy Service. The successful candidate will work in the Anatomic Pathology (AP) Division at UVMMC as part of the UVM Health Network. Board eligibility/certification in AP is required and prior diagnostic experience is desirable. The candidate should be an enthusiastic teacher who will provide education to medical students, residents, fellows and clinicians at interdepartmental conferences. The candidate is expected to pursue scholarly activities and clinical research and should provide a description of their academic work and future plans in their cover letter. Surgical Pathology at UVMMC processes over 43,000 surgical specimens, 140 autopsy cases and approximately 50 perinatal cases annually. UVMMC and LCOM are especially interested in candidates who can contribute to the diversity and excellence of the academic community through their research, teaching, and/or service. Applicants are requested to include in their cover letter information about how they will further this goal. Applicants must apply online at www.uvmjobs.com and reference position 00023065 (please read full job posting online). Review of applications will begin immediately and applications will be accepted until the position is filled.